Enjoy the top 1 famous quotes, sayings and quotations by Mark Marissen. 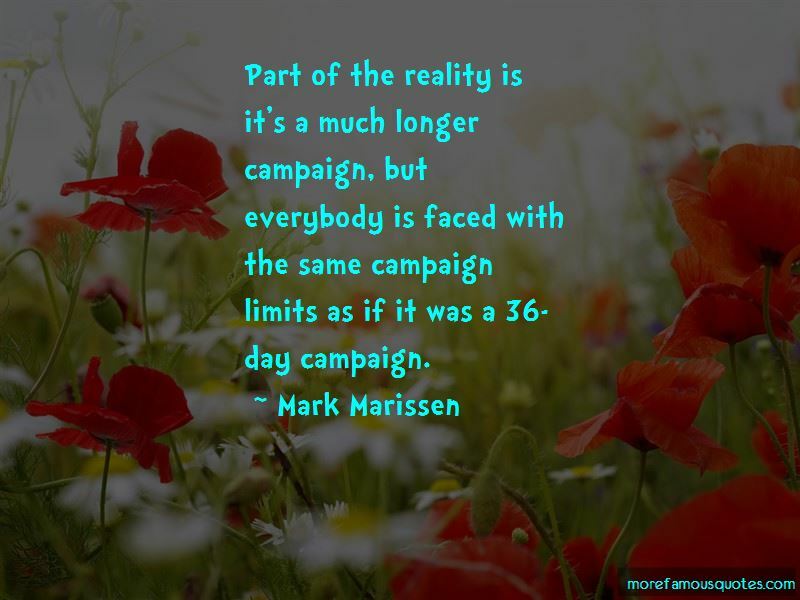 Part of the reality is it's a much longer campaign, but everybody is faced with the same campaign limits as if it was a 36-day campaign. Want to see more pictures of Mark Marissen quotes? Click on image of Mark Marissen quotes to view full size.